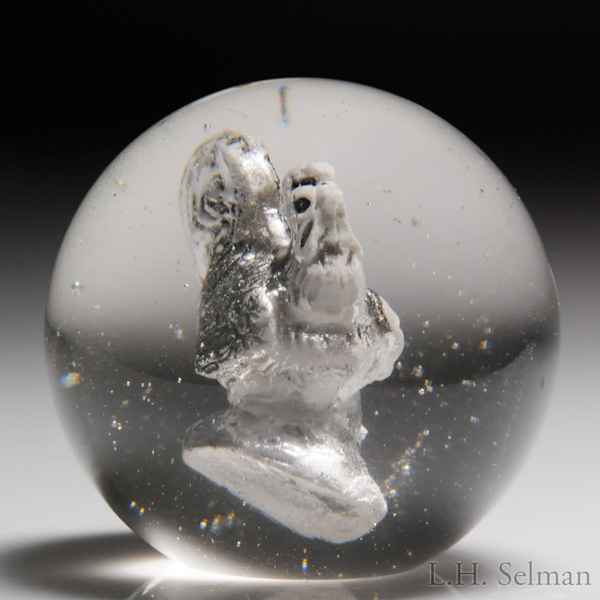 Unidentified antique, possibly German, rooster sulphide marble. 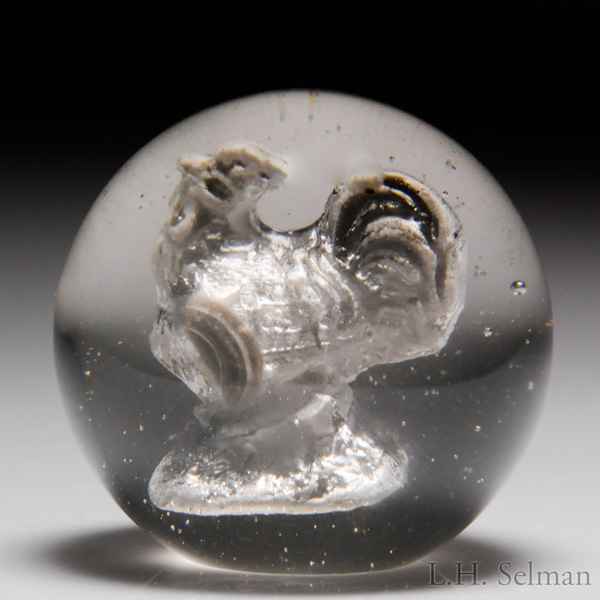 A rather large, three dimensional rooster sulphide is at the center of this clear marble with a flattened base. Annealing crack to the side. Diameter 1 15/16".